Of course a lot can happen in 3 months. It's entirely possible he had no bias in writing that article, and mentioned her game so much because he really liked it. Between January 8 and April 1 of 2014, feelings could have developed and while he should have made this known to his editor, this is not a conclusive conflict of interest. On March 31, 2014, Grayson, now writing for Kotaku, penned an article "The Indie Game Reality TV Show That Went To Hell." For those who don't know, a game jam is when several game developers get together and make a game, often with a time constraint of usually just a few days. Its about coming up with creative ideas and executing them in a creative way. It is not uncommon to then see these ideas expanded upon into full games later released. Zoe Quinn was one of the developers to be featured in a TV adaptation of one of these jams, intended to become a reality show. Intended being the operative word here. The project burst into flames when the developers stormed off the stage, upset that the corporate handler was trying to inject drama into a reality TV show. As you read this, please keep in mind that the writer of this article admits to having a sexual affair with Zoe Quinn after this article was written. The time frame provided by her boyfriend shows this would have been within 1 to 7 days after writing this. As I read this, please also think about whom Grayson portrays favorably here and whom he portrays in a negative light. "Tempers flared as it became apparent that the show wasn't quite what people were expecting, and Pepsi's on-site consultant (Matti Leshem) decided to get involved - but not as a calming influence or a mediator. YouTube personality JonTron and Depression Quest creator Zoe Quinn butted heads during the Let's Play challenge, and they decided to resolve their differences with a discussion off-set. Cameras, however, quickly followed." "There was this amazing thing that happened after the production was over. Without any organization or prompting, we acquired and shared some refreshments around, set up some multiplayer games, invited production staff to just come be people and play with us, and had a spontaneous pop up party more or less. It was the first time I had started to feel like myself at all since landing in LA. "I want to run a game jam." Quinn continues. "I'd love to have the LPers do what they're so often so brilliant at and bridge the gap between the games and the audience, and do it super low-tech, low-budget, documentary style. Capture the inspiration, the hard work, the 3am delirium and the dumb jokes that come with it. Show people how we all band together and support each other through the deadline. That's what I want to show the world about game jams. That's the ambassador I'd rather be." This article will be linked and you can see this narrative is echoed through out. The knowledge that Grayson will be shortly having a romantic relationship with the person who just wants to let us all in on the joke is something that shapes how I view the article he wrote. That it was hidden makes me believe that this relationship may have biased the article. 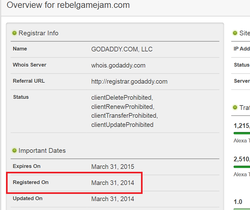 It should be pointed out that Zoe Quinn did take the initiative to start her own game jam, Rebel Game Jam. 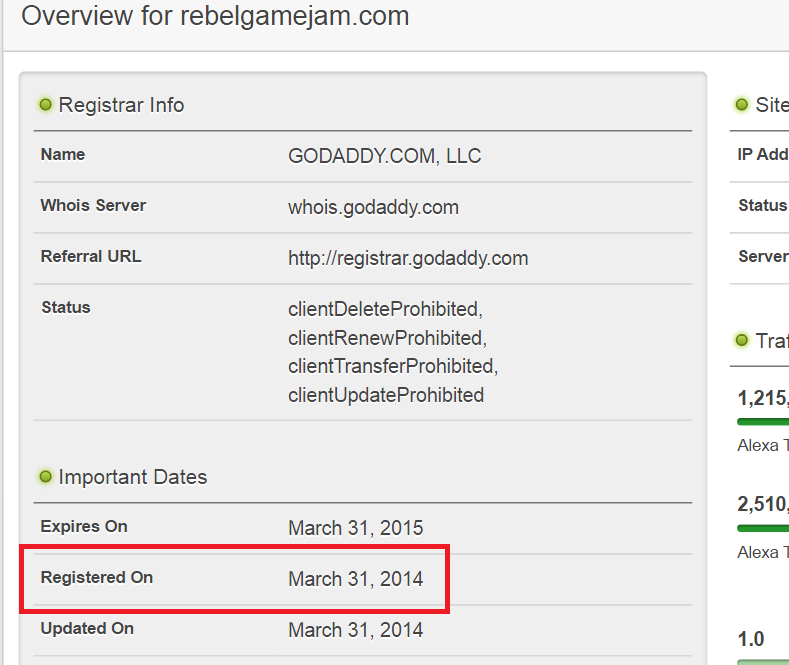 She registered the domain name on March 31st, 2014. If that date sounds familiar, that is because it's the same date the article was published. "Nathan and I have discussed this and he assures me that at the time of that article he has not begun a relationship with the developer." Here in lies the crux of GamerGate, and here is where the gaming journalism industry would make their stand.